One year since over 700,000 Rohingya refugees were forced to flee from Myanmar into Bangladesh, the denial of their legal status, coupled with unacceptable living conditions in haphazard makeshift camps, continues to trap refugees in a cycle of suffering and poor health. On 25 August 2017, the Myanmar Army launched renewed ‘clearance operations’ against the Rohingya people causing widespread violence and destruction, and forcing more than 706,000 to flee into neighbouring Bangladesh. They joined over 200,000 others that had fled to Bangladesh after previous waves of violence, bringing the total number of Rohingya hosted in Cox’s Bazar district to over 919,000. In the 12 months since, MSF has provided over 656,200 consultations, equivalent to more than two-thirds of Rohingya refugees, in 19 health facilities or mobile clinics. While Bangladesh showed extraordinary generosity by opening its doors to the refugees, 12 months on, the Rohingya’s fate remains very uncertain. Host states in the region deny them any formal legal status, despite the fact that they are refugees and have been made stateless by Myanmar. Donors and governments with influence over the Government of Myanmar have failed to show the necessary leadership by not pressuring it to end persecution against the Rohingya, which is the cause of their displacement. In addition, the UN-led humanitarian response in Bangladesh is, to date, only 31.7 percent funded. Within that, health care funding stands at a mere 16.9%, leaving significant gaps in the provision of vital medical services. The Rohingya have long been excluded from healthcare in Myanmar, meaning they have very low immunisation coverage. Preventative health measures are therefore crucial. Vaccination campaigns, supported by MSF, have been instrumental in preventing outbreaks of cholera and measles, and in containing the spread of diphtheria. Under the pretext that the Rohingya will soon be returning to Myanmar, the humanitarian response has been hampered by restrictions placed on the provision of long term or substantial aid. The conditions endured by the Rohingya in the haphazard, makeshift camps fall far short of accepted international humanitarian standards, with the refugees still living in the same temporary plastic and bamboo shelters that were built when they first arrived. “In an area where cyclones and monsoons are common, there are almost no stable structures for Rohingya refugees, which has a tangible impact on their security and dignity,” says Kolovos. Considering the level of violence that the Rohingya faced in Myanmar and the trauma this will have caused, services to treat mental health issues and sexual and gender-based violence injuries remain inadequate. They are also complicated by the lack of legal status, which prevents people from reasonable access to justice and the rule of law. In addition, the Rohingya remain forcibly confined to the camps, and most of the refugee population in the camps have poor access to clean water, latrines, education, job opportunities and healthcare. “These restrictions not only limit the quality and scale of aid, but also force the Rohingya to depend entirely on humanitarian aid. It deprives them of any chance to build a dignified future for themselves and makes every day an unnecessary struggle for survival,” says Kolovos. Many of the refugees that MSF teams speak to are very anxious about the future. "I've lost my strength, my ability to work. I always have so many worries, worries about the future,” says Abu Ahmad, a Rohingya father of eight. “I think about food, clothes, peace and our suffering... If I stay in this place for 10 years … or even for one month, I will have to suffer this pain." MSF first worked in Bangladesh in 1985. Since 2009, MSF has run a medical facility and a clinic close to the Kutupalong makeshift settlement in Cox’s Bazar district, offering comprehensive basic and emergency healthcare, as well as inpatient and laboratory services to Rohingya refugees and the local community. 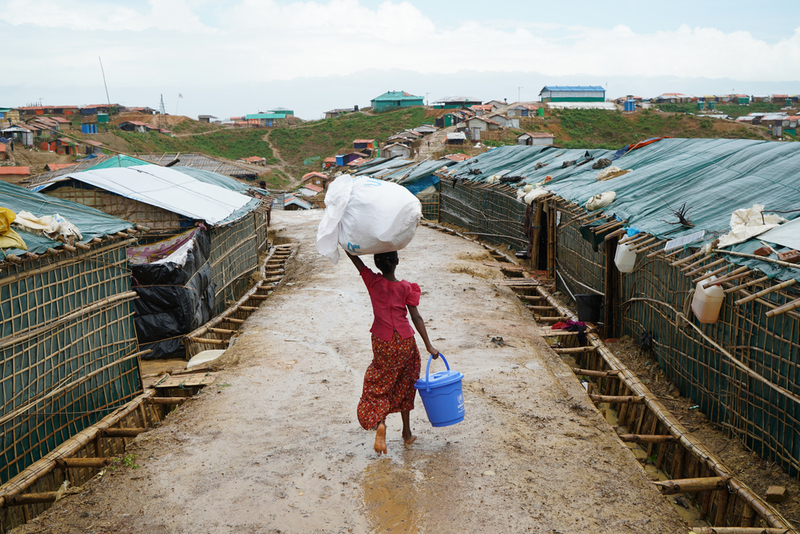 In response to the influx of refugees in Cox’s Bazar, MSF significantly increased its presence in the area, with vastly expanded operations covering water, sanitation and medical activities for the refugee population. MSF also provides healthcare to Rohingya and other marginalised communities in Malaysia and Myanmar. 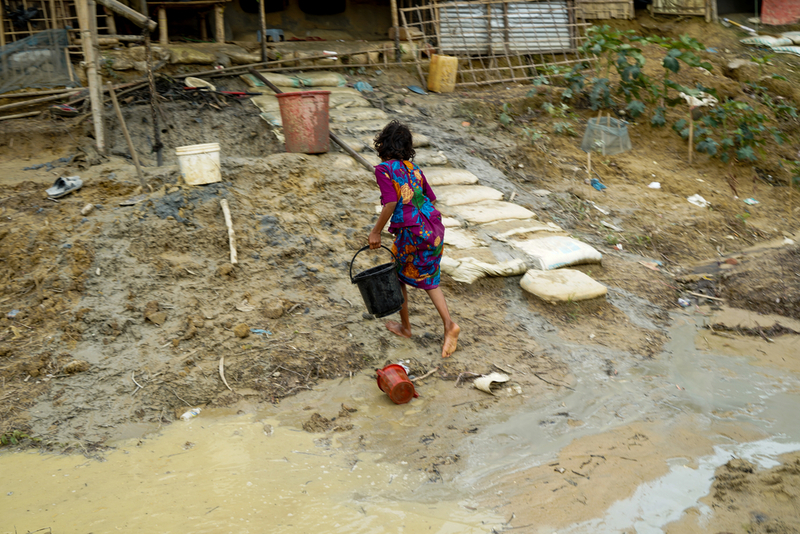 In Myanmar, MSF has provided healthcare to all communities in northern Rakhine since 1994. At the time its medical operations were suspended on 11 August 2017, MSF was operating four primary healthcare clinics in northern Rakhine – three of which were subsequently burnt down – and was providing over 11,000 primary and reproductive healthcare consultations per month, as well as emergency transport and assistance for patients requiring hospitalisation. 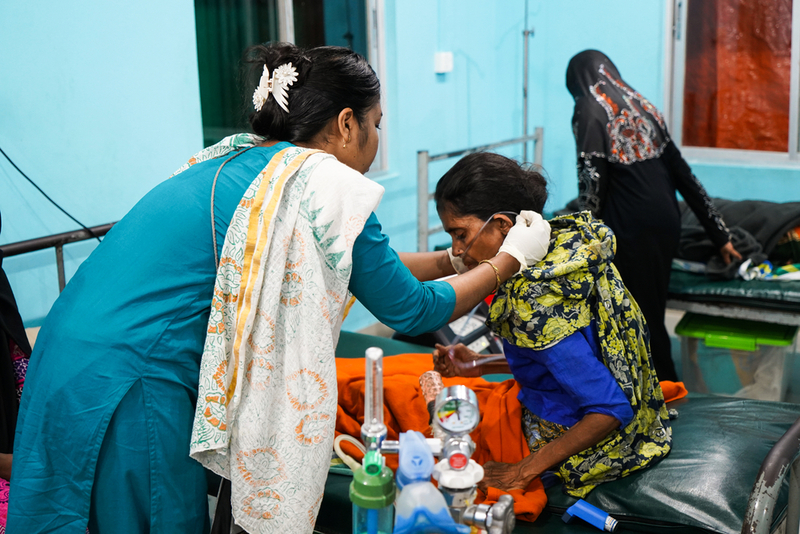 MSF maintains staff presence in Maungdaw despite being unable to run medical activities, and our teams continue to hear from the Rohingya community there about the difficulties they face accessing healthcare. Muslim patients continue to face restrictions on their freedom of movement and unaffordable medical fees. MSF continues to provide primary healthcare and emergency referrals for patients in Sittwe district, central Rakhine. Elsewhere in Myanmar, MSF continues to run medical projects in Shan, Kachin and Yangon, as well as in the Naga Self-Administered Zone and Tanintharyi region.